The Baltimore Ravens are at a crossroads. They face both potential elimination and a chance to all but wrap up their playoff push this weekend. The continuation of the playoff race primarily on Baltimore’s showdown in California on Saturday. The Ravens will travel to Los Angeles to face the Chargers, a team that holds the fifth seed in the AFC, but is also competing in the AFC West for the division title and potentially the first seed in the conference. The importance of the game in southern California is magnified by the recent success of other wild card competing teams. The Indianapolis Colts and Tennessee Titans both sit tied with the Ravens with an 8-6 record. A defeat at the hands of the Chargers and a Colts and Titans win against the Giants and Redskins respectively would knock the Ravens out of the playoffs. To ensure a victory, the Ravens need to find success in three key areas. The Baltimore Ravens are going to need an effort like the one seen in Kansas City to win this game. Against the Chiefs, Baltimore held one of the league’s top offenses to just 24 points in regulation and forced the MVP candidate quarterback, Patrick Mahomes, to make bad decisions and throws. This Saturday in Los Angeles, the Ravens will face a similar threat in an explosive offense led by a dynamic quarterback. The differences are stark, however. The Chargers boast one of the most complete offenses in the league. The air assault is backed up by a powerful running back in Melvin Gordon. The Chargers also have a veteran and future Hall of Fame quarterback at the helm. No matter what the Ravens send at him, he will never be rattled. The Ravens defense will have to outplay the Chargers offense, and not rely on mistakes, to win the game. The Baltimore Ravens will likely have a difficult time on defense, so the group will need to revert back to a strategy that seemed to work against other (lesser) teams. The Ravens must dominate the time of possession, and keep the ball out of the hands of Phillip Rivers. The Ravens can do this by effectively running the ball with quarterback Lamar Jackson, and running backs Gus Edwards and Kenneth Dixon. All three of these ball carriers have been effective at running in recent weeks, but the Chargers present a unique challenge. The best-run stuffing team the Ravens tried this formula on was the Atlanta Falcons, ranked 25th in total run defense. The Chargers are the ninth best at stopping the run in the NFL. The Ravens will need to find success against a much better opponent than usual. If the Ravens can effectively run against the Chargers, not only will they win the game, but the effort would prove that the scheme can work against anyone. Lamar Jackson played in plenty of important primetime games in college at Louisville, but none of that compares to the situation he is about to find himself in. The Ravens will need Jackson to stay calm, cool, and confident as the bright lights of a primetime NFL game shine down on him. Rookie mistakes cannot be afforded against a team like the Chargers, and Jackson will need to play his best game yet as a pro football quarterback. Whether or not he can do it, the Ravens will need him to in order to win this game. The Baltimore Ravens will lose to the Los Angeles Chargers in their worst performance since Lamar Jackson took over at quarterback. Baltimore will not be able to run out the clock by dominating the time of possession, as the Ravens ground game will be slowed by a stout Chargers defense. 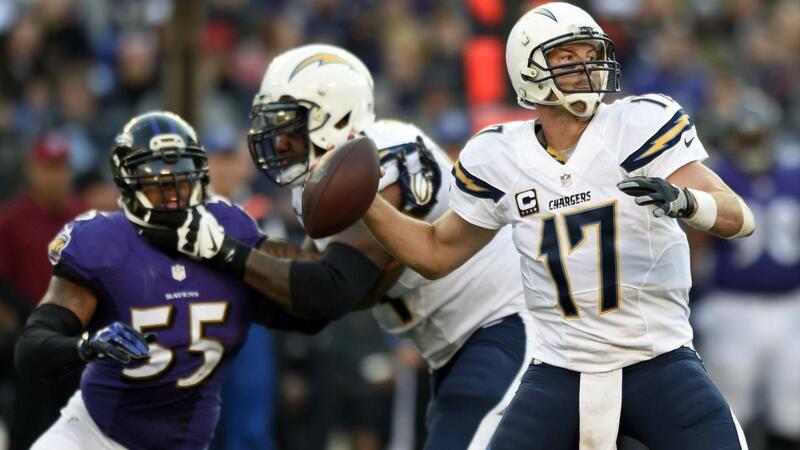 The Ravens defense will be unable to halt the potent Chargers offense. Lamar Jackson will play well, but not well enough to remedy the other issues facing the Ravens. The final score will be 35-24, and the Ravens will fall to 8-7.